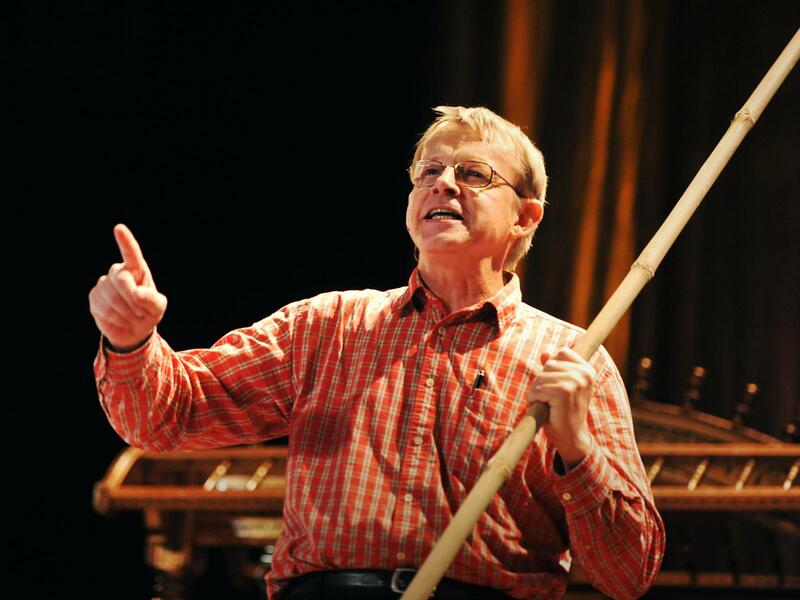 The world mourns the death of the most renowned and notable academic, statistician, and public speaker of the present decade, Hans Rosling. Hans started his career as a medical doctor, and was later appointed as the Professor of International Health at Karolinska Institutet. He also co-founded the Gapminder Foundation. The sad demise occurred on the very morning of February 7th, 2017; after a year of being diagnosed with pancreatic cancer. Hans was aged 68 before he drew his last breath. Through this presentation, Hans takes us back in time to 1810. He narrates the story about 200 countries, and maps their life expectancy against the income for each country. This is a BBC presentation, and the genius only takes 4 minutes to sum his thoughts. He talks about how life expectancy rates have improved for the Westerners gradually since 1810, while many Asian countries still face adverse health conditions. In this Gapminder production, the famous Swedish statistician talks about how our world is transforming in ways most of us is clueless about. He presents a portrait of how we are beginning to conquer the problems related to rapid population growth and extreme poverty. 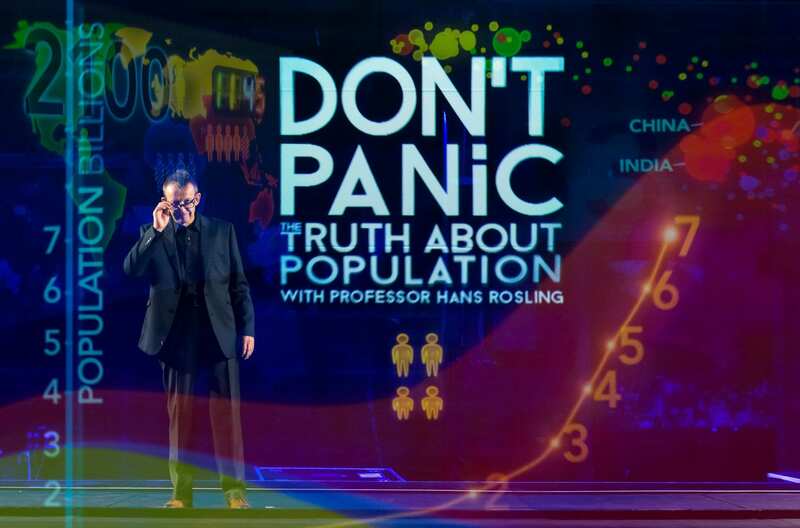 Countries like Bangladesh are now ceasing from excessive births, and soon the population explosion will be over, according to Rosling. The proportion of people living in extreme poverty has also reduced by a significant factor. In this particular demonstration, Hans talked about how world’s population will grow to 9 billion over the next 50 years. He stresses on the idea that population growth can only be checked by raising the living standards. This show was convened at TED@Cannes. He also stressed on the importance of making investments towards green technology, or undertaking projects to alleviate poverty. In his own unique manner, Hans initiates this TED Talks presentation by putting forward a question, “How did deaths per year from natural disasters change in the last century?”. He followed this question with couple of more interesting questions. 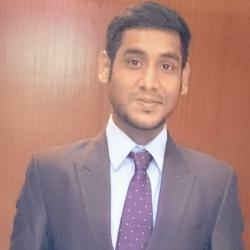 These questions essentially revolved around a project on ignorance, conducted by Gapminder. 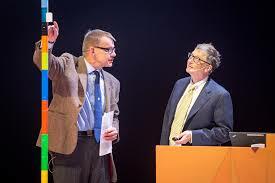 Hans alongwith his son Ola Rosling talks about how we are still ignorant about gender inequality and the facts which show women not being able to access basic educational rights. This is not the only aspect people are ignorant about, as many third world countries struggle amidst poverty. Hans uses his innovative data tools to demonstrate how countries are pulling themselves out of poverty in this Ted Talks presentation. In this show, he compares households of different poverty levels worldwide. He touches upon the social and economic progress in the emerging nations. This presentation is also renowned for his sword-swallowing stunt, with which he concludes the show. Through this TEDxSummit, Hans explores the role of religions in deciding birth rates and how it affects the global population growth. His convention was held at Doha, Qatar. During the demonstration, he plots data over time and across religions. Han concluded the talk by stressing on how income decides the number of babies, instead of religion, as popularly mistaken. This one is part of TED Talks, where Hans uses an interesting and efficient new presentation tool, Gapminder, to demonstrate data that debunks several myths about the world development. He plots a chart of life expectancy against child fertility, where dots of various sizes represent various countries worldwide. For instance, he talks about Vietnam catching up with States in terms of life expectancy improvement. The presentation was witty and filled with right amount of humor to amuse the audience. He also focuses on the significance of internet and publicly funded data towards extensive development. 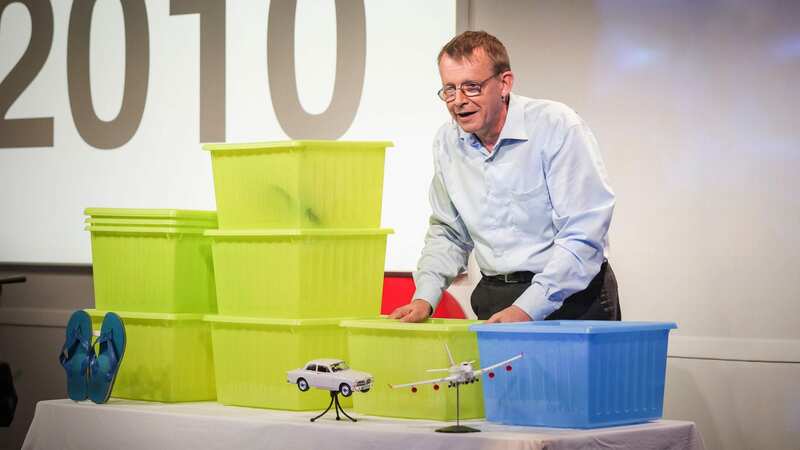 In this presentation, Rosling addresses the audience by asking them what was the greatest invention of industrial revolution. In this presentation, Hans uses newly designed graphics from Gapminder to make the case for washing machine as the greatest invention. The motive behind talking about washing machine was to show how economic growth and electricity has turned a boring wash day into an intellectual day of reading. He concludes the show by thanking industrialization. This Gapminder production focuses on the plight of Syrian refuges. Hans states an initial figure of 20 million people who occupied Syria. During the conflict 12 million fled the place, leaving only 8 million behind. He also states that 8 out of the 12 million people who moved, occupied other territories near Syria, while the 4 million went to neighboring countries. Hans also states the EU federation is granting asylum to this refuges who illegally make it to Europe, but the percentage of this people who managed to flee is significantly small. The cost of flying to Europe from most of the Mediterranean countries is roughly same and equal, but most of the refugees residing in Libya are taking boat instead, which is more than double the cost of flying. This is a Gapminder presentation where Hans explains why refugees are sailing to Europe, rather than flying. In this video, Hans talks about an old EU Directive, made in 2001, which dictates that commercial air carriers must pay all the cost associated with returning the refugees back safely to their respective countries. Thus, these carriers avoid carrying the refugees, and they are left to drown in the overcrowded and expensive sails across the sea.